Ladies and gentleman, my name is Kristen. Rosario. And I am your host for the CAVE OF TRIALS! Folks, we have an interesting predicament on our hands. Just last week we had a fun little exhibition tag team match as I would decide what would be the next big event for the Cave of Trials. For those who were curious, congrats to Yuga and Zant! However this was not something I was too intrigued in. No, as I said previously, I have been thinking of the next big event to have around here. This what I have in mind as Nintendo is having a new big battle of sorts right around the corner called Super Smash Bros. Ultimate. December is a time of giving and since I am such a generous host, it’s time once again for another tournament! Ladies and gentleman, I officially announce the SMASH ULTIMATE FANTASMIC HOLIDAY TOURNAMENT! This will not be no ordinary tournament either. As with my Halloween Havoc Tournament back in October, this will be a very special tourney as 16-competitors of my (and nobody else’s) choosing will get a chance. The fighters I will be picking have never appeared in a Super Smash Bros. game before. The only unfortunate news I have to give to you, my loving audience is that this may take a while. Getting the competitors together, calling around, searching for the ones who deserve it the most, and figuring out match-ups isn’t something that can be done quickly. It must be precise. However, I will not leave you empty-handed this week though. 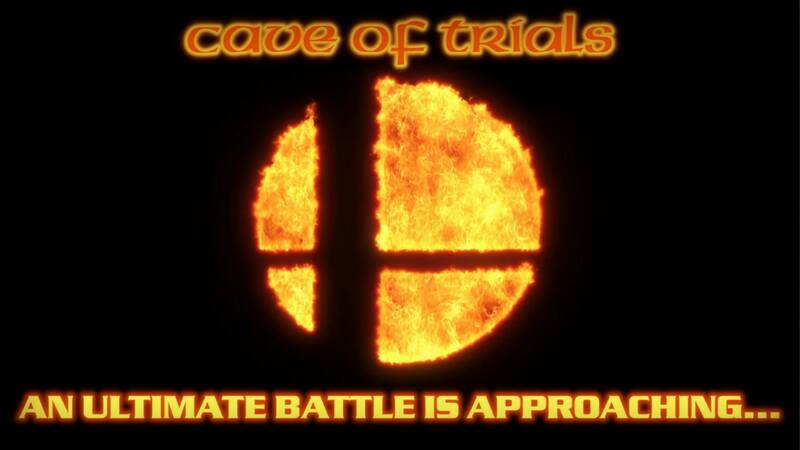 This is the CAVE OF TRIALS and we need a battle for this week! We’ll keep with the Super Smash Bros. theme and for the first time in the NEW ERA we will have Young Link vs. King DeDeDe! Being the self-proclaimed King of Dream Land, this is not the first time DeDeDe has taken on a pint-sized hero. He shouldn’t underestimate Young Link though, as he has a lot of clever skill for being a hero-sized kid. Who wins it?! That’s it for this week! Who will win? Who will prevail? Who will be chosen for the SMASH ULTIMATE FANTASMIC HOLIDAY TOURNAMENT? Tune in next week for updates in regards to what is sure to be a very EPIC tournament!